Thank you and congratulations for choosing Astrill! 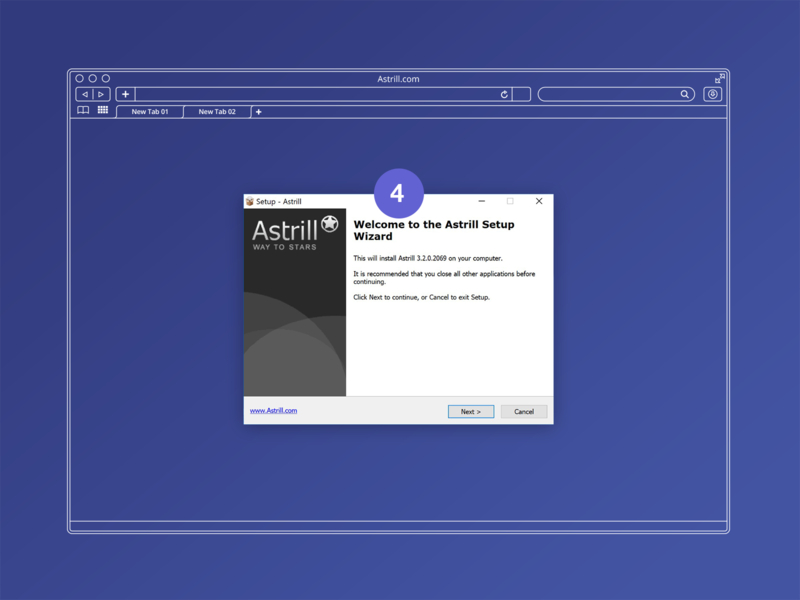 Here’s a concise guide on how to setup Astrill VPN on your desktop machine in 4 simple steps. Setting up a virtual private network on your Windows computer is as easy as surfing the web. This easy-to-understand guide will help you register for the service (if not done already) and set up the software on your system. You can then bypass all geolocation restrictions and surf the web without any limitations while keeping your data safe from prying eyes. 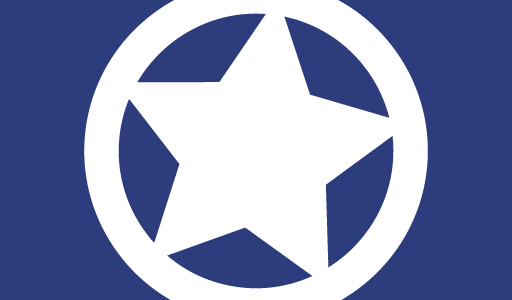 Go to astrill.com and select a plan that best suits your needs. We recommend the one-year plan for maximum savings and seamless surfing. Then register using your email ID, name, and a handy password that you’ll always remember. After the payment, you will be redirected to our downloads page where you can get the Windows application. As of July 2018, Astrill supports Windows versions from Windows 2000 and above including Windows 7, 8, and 10. Click here to download the installer directly. Once you have downloaded the application (approx. 6MB) onto your system, you need to install it. This process will take less than a minute, and you might have to reboot your PC afterward. After restarting, you will find that Astrill has been successfully installed. Note the easy access icons on your desktop, Start menu, and tray bar. Click on any one of them to open Astrill’s interface. After ensuring that you are connected to the Internet, enter your login details and connect to the Astrill network. Use the drop-down menu to select the location by country. In the screenshot below, we have selected Australia – Sydney. After selecting, click on the toggle switch to turn ON your virtual private network. 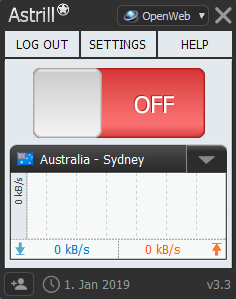 You will now be routing all your network pings through our servers that point your IP and location to Australia. If you are an advanced user, you can also go through the Settings tab to customize the application and your network. You can also subscribe to some of our advanced features such as VPN sharing and app guard. We will cover this in our next article. Check out our features guide in the video below for more information. 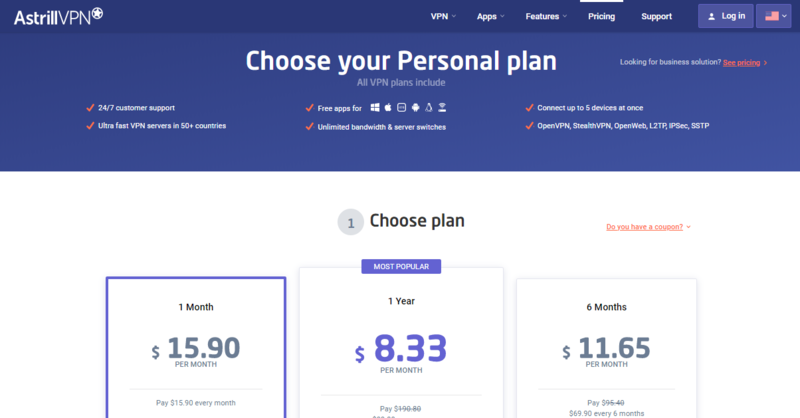 Once you have signed up for Astrill VPN, you can use it around the clock throughout the year till your plan expires. The upshot of using Astrill VPN is that you get 24/7 access and support without compromising on speed. An extension will be available as soon as your subscription nears expiry, and we will be sending you periodic alerts so that you never stay unprotected on-line. We hope that you have managed to successfully install Astrill on your computer. 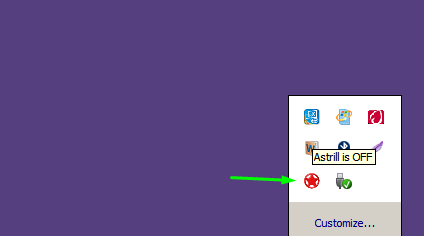 If you need assistance on how to setup Astrill VPN, you can check out detailed Wiki guide for Windows here. If you need professional help, please get in touch with our customer support at https://www.astrill.com/support. For more such guides, tips, and general information about the world of VPN follow our blog.